The end of financial year (EOFY) process has become so much more efficient with the introduction of cloud technology and QuickBooks Online. No more sending backup files to the accountant and waiting for them to come back before you can do any more processing. Using QuickBooks Online means you don’t need to send any data to the company accountant. Simply invite them in as an accountant user and, once you let them know the file is ready for EOFY processing, they can go about their work with no interruptions to the company. There are a couple of reports you should run as part of your reconciliation checklist, customising the reports and saving them all as ‘Last Financial Year” and adding them to a Group will mean that these are all ready to run next financial year. Got to the Reports Centre on the left hand navigation menu. Select the Recommended Reports tab. Customise the report by setting the report period as “Last Financial Year”. Select your reporting method ‘Cash or Accrual’. The Customisation box will appear. Give the report a name ie Balance Sheet – EOY Reconciliation. 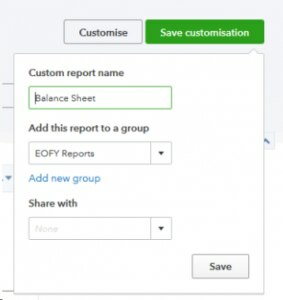 Add the report to a group – You will need to Add this group if this is the first time you are running them, I have called mine “EOFY Reconciliation”. You can also choose to share the reports … or not. 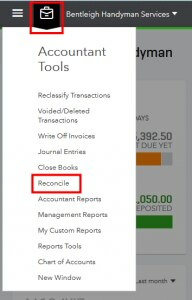 From the Balance Sheet, make a list of all accounts that need to be reconciled. There’s a checklist here. From the Balance Sheet, you need to ensure that all balances reflect the real position of your business. The first step is to make sure all your bank accounts, credit cards and bank loans are reconciled to the bank statement as at 30 June. You can reconcile bank accounts, loan accounts, term deposits, credit cards and clearing accounts. It’s good to reconcile all the various bank and credit card accounts, checking that clearing accounts such as Payroll Clearing accounts are at zero as at 30 June. This ensures the accuracy of your bookwork and also verifies that all transactions on your bank, credit cards and loan accounts have been entered and match your reconciliations. Once you have selected the Finish Now button, the Difference will show zero. Follow this process for all bank accounts. Ensure all clearing accounts are at zero unless there is a reason for them not to be. Credit cards are normally not dated at month end, so you will have to draw a line at 30 June and reconcile to this balance. So you may find, depending on last date reconciled, that you will have to reconcile to 30 June and then to the statement date balance. These type of accounts should be reconciled as a regular occurrence as they are a liability to the business and should reflect the true and accurate balance as at 30 June. Clearing accounts should also have a zero balance at the EOFY. Follow the process above with a zero balance at 30 June. This will ensure you have checked the clearing accounts and there is not a balance that needs to be allocated. Petty cash needs to be counted and reconciled to balance as at 30 June. Ensure all receipts have been entered into QuickBooks Online and reconciled to a petty cash tin held by the business. As per the clearing accounts, this account also needs to be checked off and looked over at 30 June, with the remaining balance in this account only to be the amounts left unbanked as at 30 June. The suspense accounts transactions are mainly transactions you have put on hold until you can work out the correct account to allocate to. This needs to be at zero as at 30 June. Directors or shareholders borrowing money from their company for private expenses can result in tax consequences. Under tax laws, any loans to shareholders may be automatically treated as unfranked dividend payment. It is recommended you review the transactions posted to the directors’ loan to ensure they have posted correctly and highlight any issues to the accountant, especially if the directors’ loan is a debit. It is a good idea to get the accountant to review this account before 30 June so that loans can be paid back by the director or shareholder. The accountant may be able to allocate wages to the loan account to repay the loan before 30 June. When working with customers who have inter-entity loans, check that the loans balance out each other in each company file. Run a balance sheet for both companies as at 30 June. One company will have a debit balance and the other company should have the same amount but a credit balance. If the amounts don’t balance, drill down into each account from the balance sheet report in QuickBooks Online and go through each transaction in both to work out what transactions are missing. From your customised reports created in Step 1, run your A/R Ageing Summary Report. This report summarises the customers that owe money at year-end and how long they have owed it to you. This is extremely useful to determine the status of a customer that may have owed you money and the possible outcome of receiving your money is doubtful. Ensure your A/R Report total equals your Aged Receivables on your Balance Sheet. Once the debtors have been reviewed and bad debts decided, you then need to reflect this in QuickBooks Online – the task will be to write these debt expenses in the GST as well. *This function at present does not adjust GST yet! This report summarises the suppliers you owe money to at year-end, how long you have owed it and also outlines why you have not paid it. Do these amounts match your supplier statements? As with the A/R Report, make sure your A/P Summary reconciles to your Balance Sheet Accounts Payable or Creditors. If the business is multi-currency, you may have foreign debtors (receivables) or creditors (payables), and you will want to make sure the year-end balance of the accounts payable and accounts receivable in each foreign currency is valued at the correct financial year-end exchange rate. That way, the Balance Sheet, which is always in the home currency, will display the correct home currency value of each foreign currency debtor and creditor account. It will also show you the exchange gain/loss based on the exchange rate you entered and Save. This step will create a journal entry for the unrealised gain/loss for these transactions for this currency as at 30 June. **NOTE: This is a huge time-saver, helping you to revalue your debtors and creditors. If the company has stock that can no longer be sold as of the financial year-end, a simple way of dealing with it is to do an Inventory Qty Adjustment. Do the same with your Profit and Loss Report and check the amount in your cost of goods is a debit. It is important to make sure that if inventory is being tracked, all transactions that affect the inventory asset account are purely as a result of products in transactions, not accounts. This will help ensure that the inventory asset account on the Balance Sheet on any given date will be accurately supported by a sub-ledger for each product. Run the custom report you created at Step 1 called Inventory Valuation Summary. Check that the value of stock on this report matches the value of stock on your Balance Sheet. Note: You may want to run an Inventory Valuation Detailed report and export this report to Excel in order to get quantity totals for each product by selecting the Excel button. If the report is simple enough, this may not be necessary. Review the Quantity and Amount totals for each product. Compare the totals to the inventory count results. 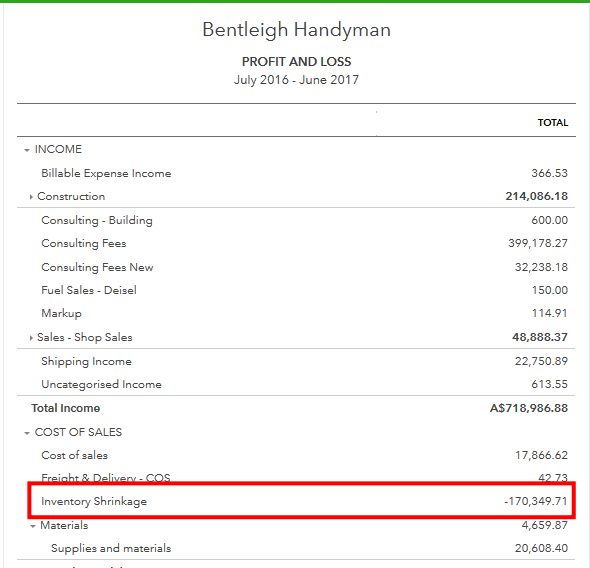 (Remember, the Amount total in QuickBooks Online reflects FIFO inventory costing, and so compare the FIFO cost of what is remaining to the stocktake and the current value and test for reasonableness.) Look to see if any transactions used the inventory asset account without specifying a product, which will have its own section labelled ‘Not Specified’. Click on each of the transactions in this section to correct them, then re-run this report to ensure that there are no ‘Not Specified’ inventory transactions and that the totals match the Balance Sheet figure as well as the stock count. Compare any as-yet-unpaid superannuation in the super report to the Balance Sheet figure for Superannuation Liability in QuickBooks Online at the year-end date. These figures should match. If they do not, click on the Superannuation Liability balance on the Balance Sheet to see the detail. If there are any non-payroll transactions that affected that balance, edit them and correct if necessary. Reconcile unpaid PAYG withholding in the Balance Sheet to the PAYG withholding liability. 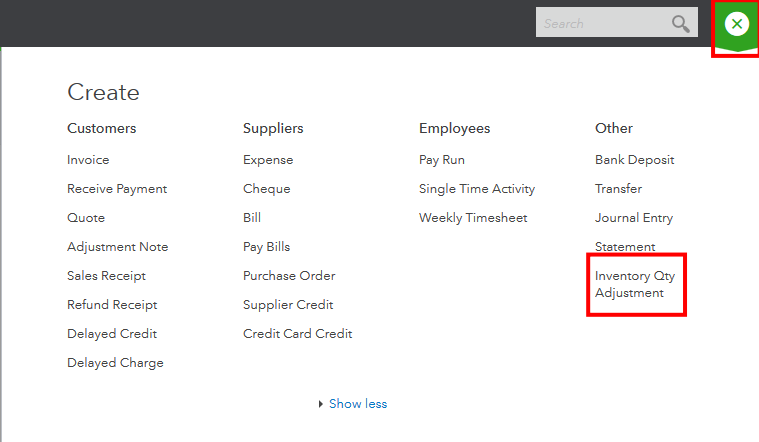 You will also need to reconcile various payroll reports within the Balance Sheet in QuickBooks Online to confirm that the payroll is being done properly. You will want to confirm that no non-payroll transactions such as journal entries were recorded to affect the various payroll accounts in the general ledger. Compare any as-yet-unpaid PAYG (normally the last month, June) in the PAYG report to the Balance Sheet figure for PAYG withholding liability in QuickBooks Online at the year-end date. The figures should match. If they do not, click on the PAYG withholding liability balance on the Balance Sheet to see the details. If there are any non-payroll transactions that affected that balance, edit them and correct if necessary. ** NOTE: Also pre-running your PAYG withholding summaries to your client’s employees, the above should be run and reconciled. ** NOTE: Depending on the complexities of your payroll and mapping back to your chart of accounts, there may be a bit more to reconciling these accounts. Keep in mind that although the content below covers reports using the Reports tab in QuickBooks Online, you will also want to make use of the GST tab for GST-related reports, completing the BAS and making a payment. Review all tax codes entered against the income and expense accounts, as well as balance sheet accounts related to purchases, such as fixed assets and stock. If you encounter any transactions that were entered by your client in an incorrect fashion so that GST was excluded, correct them as necessary. Click into the transaction and correct from this report. Reconcile outstanding GST to the GST paid on June BAS. If QuickBooks Online has been used properly, you and/or your client will have used the GST tab and its reports and functions to complete the BAS, mark it as Lodged and record the related GST payment. Before doing so, run a Balance Sheet on an accrual basis as of the year-end date to review the GST payable balance. The numbers will correlate between the Balance Sheet and the reports in the GST BAS Summary tab. Print and/or Save the reports, and ensure that you can see the precise date and time when the reports were produced, regardless of the effective ‘as of’ date of the reports. It is always wise to ensure that all transactions related to the year in question are entered before completing the BAS. Often it doesn’t matter how diligent you and your client are about producing sales invoices in a timely fashion, there are times when you will receive invoices from a supplier in August dated 29 June. If that happens and the invoice is entered at the correct date, there will be GST amounts affecting the GST payable balance after the BAS has been lodged and the balance paid. If this is the case, review the new GST Payable balance on the Balance Sheet as of the year-end. Then run a GST Exception Report, which lists the transactions containing GST that have been added, modified or deleted in prior ‘marked as lodged’ GST periods and have changed the company’s GST liability. You can also access this report from the Run Reports button in the GST Centre. Compare this report to the amount in the new GST Payable balance to ensure that it accounts for all the changes to GST in this period. Then you will have a permanent record of the transactions that affected GST payable after lodging the BAS. Reconcile outstanding GST to the GST of Debtors and Creditors. If your client is lodging GST on a cash basis and the rest of its Accounting reporting on an accrual basis, you have the tools you need to reconcile the GST owing amount. In theory, the GST owing on a cash basis should be equal to the GST owing on an accrual basis, adjusted for the GST of the Debtors (accounts receivable) less the GST of the Creditors (accounts payable) outstanding. It is possible to compare these figures in the equation described above to test the GST owing on a cash basis compared to the balance sheet on accrual basis. The difference between these two figures is the amount you will want to reconcile. Review the listing. Export to Excel if necessary, and extract the amount of the receivables (as different invoices might have different GST implications) that will relate to the GST total amount outstanding. Review the report – this will give you a total for GST. We can now check to see if our GST outstanding as at 30 June matches to our Balance Sheet. Use this formula: GST Accrual-Cash = GST from Debtors – GST from Creditors. Do this for all four quarters (i.e. 01/07/14 to 30/09/14, then 01/10/15 to 31/12/15, etc.). Then in a spreadsheet (see the below sample) compare the amounts lodged at the ATO (BAS Portal Lodged) to your printed BAS Summaries (QuickBooks Online File). Ensure that no movements have occurred after the BAS has been lodged. This will show up between the Diff to be paid in June BAS and BAS June FY. If there are any movements, this should be taken up as an adjustment in the June BAS. The accountant would normally review the Asset Register and discuss with the client the state and location of each fixed asset on the list as at the EOFY. If the asset is no longer serviceable, or if it has been sold, it must be correctly recorded as such in QuickBooks Online. If the asset was sold, review the transaction that was intended to reflect that sale and ensure that any gain or loss on the disposal of the asset was correctly entered, and that the remaining undepreciated asset value of that asset was reduced to zero. If it was donated, or if it no longer worked, then a journal entry reflecting the disposal of the asset at $0 and any loss on the disposal should be entered, so that the undepreciated asset value of that asset is reduced to zero. Generally, the accountant will create these journal entries as part of the income tax reporting. As part of the bookkeeper’s year-end process, you should review all assets purchased during the year and ensure they were properly recorded for the accounts review. Review all large expenses on the Profit and Loss, and check with your client to see whether any of these ‘expenses’ should really have been recorded as fixed asset purchases. (Many clients make this mistake, expensing everything, regardless of the nature of the expenditure.) If so, make the necessary corrections. Also, ensure that each purchase has the correct purchase date, value and full description so that a Transaction Report on the Fixed Asset accounts from the Balance Sheet will provide the accountant with the detail required to calculate the correct depreciation expense for the year. It is also a good idea to attach a copy of the purchase to the transaction in QuickBooks Online so it is easy for the accountant to access. Provide information to the client. Various types of reports and information should be offered to the client at several points during the year, not just at the financial year-end. The reason for this is as follows: if there are problem areas that need addressing, pinpointing them on mid-year financials and comparative reports will enable the client to make decisions and change course so that the situation is remedied sooner rather than later. Waiting until the financial year-end may be far too late to take action. These reports, when run at year-end, can be preliminary, and when the accountant’s end-of-year adjusting entries are made, they can be presented in their final form to the client again. Click the Next button and then the Finish button on next page. This generates an email invitation to you. 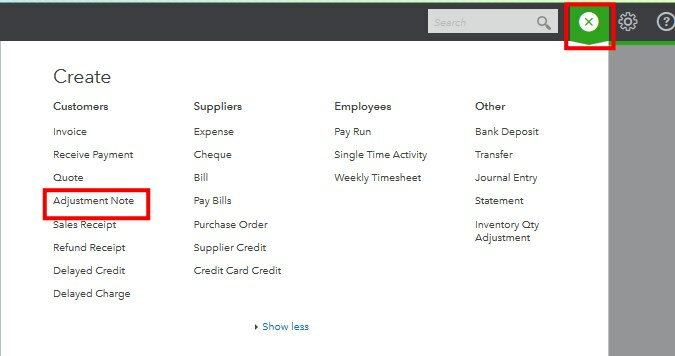 Once you select Accept (and create an Intuit ID or use one you’ve created previously), you will be able to access this company file (and any other company file you have accepted similar invitations from) by going to www.intuit.com.au and signing in under QuickBooks Online Accountant. Note: Clicking on figures or transaction details can be done in any report to ‘zoom in’ on the selection and provide more detail and ultimately open original transactions. When changing the settings of any report, such as the date range, select Run Report to display it using the new settings. Assume the dates are for the year-end just being completed unless otherwise stated. Note: This report is only available in QuickBooks Online Accountant. Clicking on figures in this report will display details behind any glaring discrepancy between the year being reported and the previous one. Note: This is not a report that clients typically understand, so take the time to explain the significance of certain accounts that are of particular importance. Show them their bank and credit card balances, debtors, creditors, loans and inventory. Note: If viewing the Summary version of this report prompts questions, clicking on the figures in the Summary report will provide details as well. Review this report with the client to ascertain whether any invoices should be written off as bad debts. Note: If viewing the Summary version of this report prompts questions, clicking on the figures in the Summary report will provide details as well. Review this report with the client to ascertain whether all these outstanding bills are indeed payable. Providing information to the accountant at year-end is quite easy in QuickBooks Online, because the accountant will be able to login to QuickBooks Online Accountant (by going to www.intuit.com.au, once he/she has accepted the invitation to be an Accountant User and has created an Intuit ID for logging in) and view the data for himself or herself. We created a few of these reports at Step 1; the others can be added to this group and exported or emailed as one report to the accountant, along with a copy of your end-of-year checklist. The accountant may wish to enter these end-of-year adjustments directly into the client’s QuickBooks Online file, or he or she may give you the finalised trial balance with the entries to record. Regardless of who enters the adjustments, the information below is quite useful. Adjusted Trial Balance to view the unadjusted (pre-adjustments) trial balance, the total adjustments in adjusting journal entry form by account and the adjusted trial balance by account (Accountant Reports > Adjusted Trial Balance). This will enable you to compare the accountant’s papers with QuickBooks, and segregate the pre-adjustment and post-adjustment figures in case there a discrepancy needs to be located. Take a copy of the file? Not necessary! Typically, using desktop accounting software, it is simply due diligence to make a copy of the data file and store it in a properly labelled folder (e.g. with the four-digit year indicating the year-end date as the name) when the year-end work is complete. One of the beautiful aspects of QuickBooks Online is that this is totally unnecessary! Just keep working in the same file and QuickBooks Online will maintain all the history for easy access in the future should it be necessary. The entries are always there. You may be concerned about loss of data or corruption. 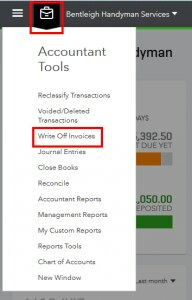 Again, this is a beautiful aspect of QuickBooks Online; it’s secure, it’s cloud-based and all these typical accounting data file worries are a thing of the past. Roll over the file to a new year? Again, not necessary! Since your client is likely the Master Admin user of this QuickBooks Online file, that won’t stop him or her from entering the closing date password (or changing the password if they forget it) and making changes to periods that should be left untouched except for reporting purposes. However, creating a closing date and password, along with updating the closing date as time elapses, means that if necessary, you can run an Exceptions to Closing Date report, which will show changes that anyone with the proper credentials and knowledge of the password made to these ‘should be closed’ periods. This is an ‘audit trail’ type of report and will come in very handy if you are required to undo whatever trouble your client created because they didn’t understand the meaning and significance of the term ‘closed period’. Notify your client repeatedly, verbally and in writing, that they are not to make any changes to closed periods and explain to them what that means. Furthermore, explain to them that if they do so, they will incur increased bookkeeping and accounting fees to undo the mess they created despite the warnings. For more info on being prepared for EOFY, visit here. Or download an EOFY checklist for small businesses.